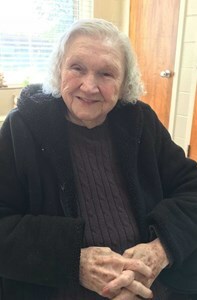 Newcomer Family Obituaries - Zenith Francis Brady 1924 - 2019 - Newcomer Cremations, Funerals & Receptions. Zenith Francis (Caudill) Porter Brady, 94 of Rickman, Tennessee passed from this life on Saturday, January 19, 2019, at NHC Healthcare of Sparta. Zenith was born Wednesday, August 27, 1924, in Flemingsburg, Kentucky and she was the daughter of the late Gilbert Preston and Mamie (Hurst) Caudill. Zenith was a loving wife, mother and dedicated grandmother. She never met a stranger and was known to have all of the neighborhood children at her house. Zenith was loved by all that knew her and She loved to take care of her family and anything that involved them made her day. In addition to her parents, Zenith was preceded in death by 2 Husbands, Randolph "Jack" Porter, and Avis T. Brady; 4 Children, Janice Mondabaugh, Gary Porter, Randy Porter, and Cathy Miller, 3 Grandchildren, and 10 Siblings. Special thanks to NHC Healthcare of Sparta for their care of our mom during her time there. Funeral Services for Zenith Francis (Caudill) Porter Brady will be held on Tuesday, January 22, 2019, at 6:00 PM at Crest Lawn Funeral Home with her Great Grandson Robbie Porter officiating. There will be a service in Ohio at the Newcomer Funeral Home - Beavercreek Chapel on Friday, January 25, 2019, at 12:00 pm. Interment will be in the Forest Hills Memorial Gardens in Tipp City, Ohio. Arrangements entrusted to Crest Lawn Funeral Home. Add your memories to the guest book of Zenith Brady.